Children have incredible imaginations, so when they ask you for a new pet don’t bother with a boring dog or cat, go all out and buy them their very own robot dinosaur. A pet robotic dinosaur will stimulate creativity and teach kids basic robotics and programming and are great fun to play with, so much so they will probably never ask again for a furry, noisy real beast, which will save you a fortune on pet food and vet’s bills. 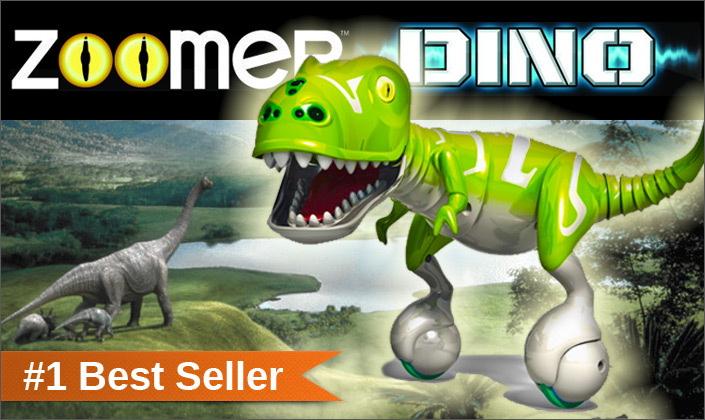 Voted 2015 toy of the year by the Toy Industry Association, Zoomer Dino is one of the most innovative and technologically advanced robot toys of all time. Featuring gravity defying ‘True Balance Technology’, which allows Zoomer Dino to explore his surroundings on two wheels while offering a full range of movement forwards and backwards, even spinning on the spot is possible. Dino can be operated using the included remote controller or by hand gestures and touch, he can learn how to perform tricks thanks to his advanced artificial intelligence and will occasionally turn psychotic and go on a terrifying Dino rampage, just like a real dinosaur. Recommended for children five years and up Zoomer Dino is great fun for all the family and probably the only pet dinosaur you will ever need. 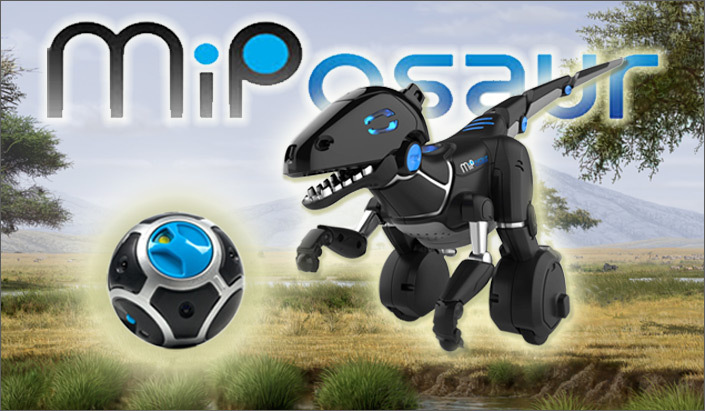 Based on the same futuristic technology as the award winning MiP Robot from Wowwee Robotics, the MiPosaur is crammed with innovative robotic know how including, ‘GestureSense’ which allows this little robot dinosaur to recognise hand gestures, as well as hand control Miposaur can also interact with his unique ‘Trackball’ featuring ‘BeaconSense’ technology and be controlled by the obligatory free app, which of course is suitable for both Android and iOS enabled devices. Every MiPosaur has its own distinct personality and just like a real pet can become playful and mischievous, frightened or just very annoyed, especially if you pull its tail. Great fun for robot and dinosaur loving children of all ages. Roboraptor was one of the first remote controlled robotic dinosaurs to feature artificial intelligence and realistic biomorphic motion and manufacturers Wowwee Robotics have given him a major update and overhaul with the version X upgrade. Roboraptor measures 32 inches from nose to tail, features remote control or free roam modes and can even be controlled by your smart device thanks to the included infra red dongle. 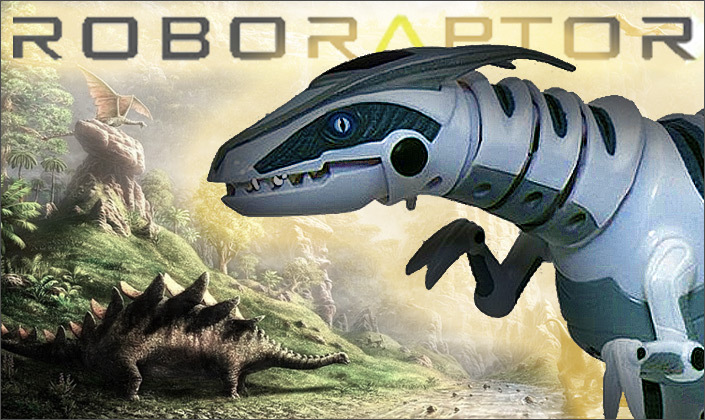 The most ferocious looking and intelligent robot dinosaur ever created, buy Roboraptor X today, before he comes looking for you. Aimed at the younger dinosaur enthusiast, Boris the Tyrannosaurus is a popular character from Jim Hensons Dinosaur Train TV series. Boris can interact with other dinosaur train characters using SmartTalk technology and you can challenge him to a roaring contest, he can also chomp like a real dinosaur and make impressive stomping noises as he roams around his natural habitat. 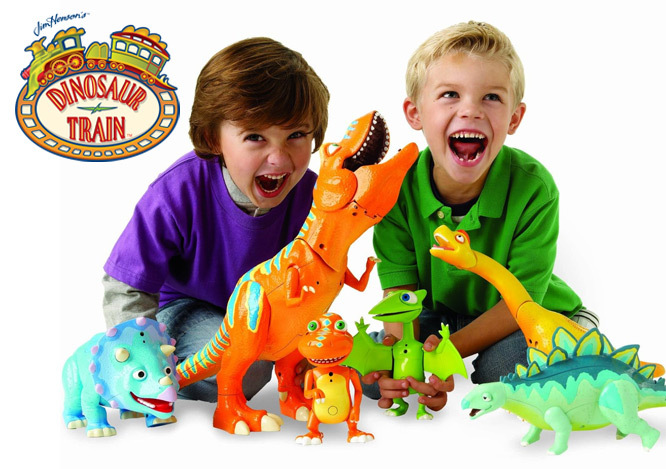 Super interactive learning fun for dinosaur loving children aged three years and up.